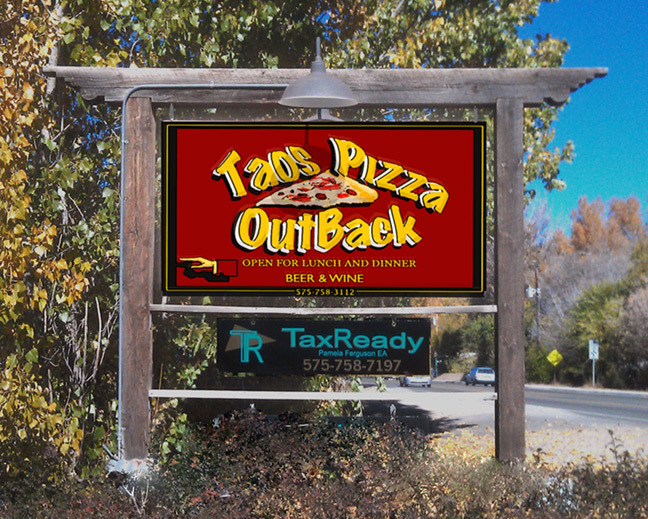 Welcome to Taos Pizza Out Back! 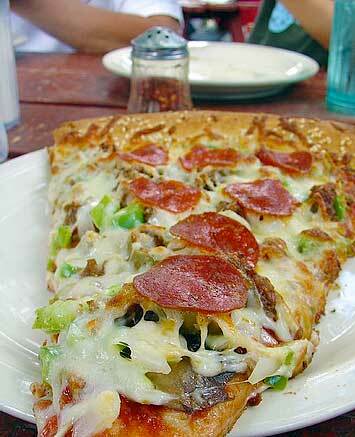 Taos Pizza Out Back has been winning high praise by pleasing pizza-lovers' palates since 1990. We serve fresh, handcrafted gourmet pizzas, pastas, salads, soups and more, along with sensational desserts and a great selection of microbrews and fine wines. Casual, family-friendly atmosphere; cheerful service; cozy indoor and seasonal outdoor seating; plenty of healthy options. Easy parking. Eat in or To-Go. Come dine with us soon! We feature local organic greens and vegetables when seasonally available. Our dough is non-dairy and is made with organically grown flour, with no added chemicals. • Separate checks: YES - 18% Gratuity Applies. • Reservations requested for large parties, please. • 18% Gratuity added for parties of 6 or more.